My M40 Indoor Heptathlon record was finally posted to the USA Track & Field website…in a PENDING status. Here’s the link to the M40 page. In celebration, here’s a few videos of an old man competing (me). Also, later today I’ll post Part 2 of Harry Marra talks about Ashton Eaton’s training. 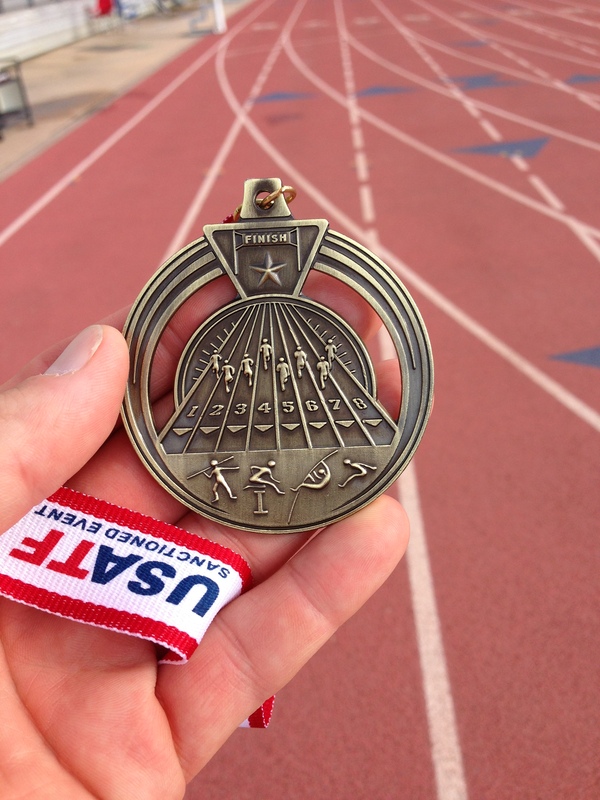 Over the weekend of March 3, 2012, I broke the “recognized” M40 Heptathlon American Record. I’m super proud of my accomplishment, but at the same time I know there should be an asterisk by my name and mark. I attended a clinic on Feb 3th given by Harry Marra, Ashton Eaton, and Brianna Theisen. We were allowed to shadow their regular training day and ask questions at the end of each event. I plan to post a few article based on the clinic, the first being this one. The first event was Shot Put, and if you don’t already know, Ashton and Brianna follow the very unconventional technique usually called “The Shuffle”. Purest scoff at this technique, but I’m not convinced it doesn’t have its place, especially with multi-eventers. There are at least two professional women now using this technique, both with PRs over 20m (for reference, 20.00m would have gotten you 4th at the 2012 Olympics). Anna Avdeeva placing 3rd at EU Championship. See 0:55 second at the following video. Petra Lammert throwing 19.22m can be seen here.